If you regularly see patients with diabetes who experience hypoglycaemia and need expert guidance, then this is the book for you. 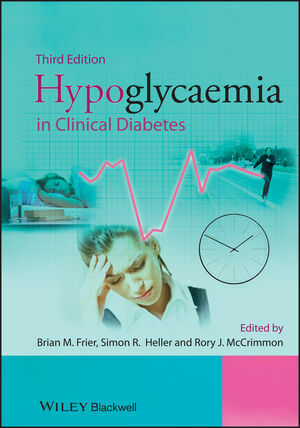 Hypoglycaemia in Clinical Diabetes, 3rd Edition once again provides health professionals involved in the management of people with diabetes with an expertly written, comprehensive guide to hypoglycaemia, the most common and feared side effect of insulin treatment for diabetes. With reference to ADA and EASD guidelines throughout, topics covered include the physiology of hypoglycaemia and the body’s response to a low blood glucose, its presentation and clinical features, potential morbidity and optimal clinical management in order to achieve and maintain good glycaemic control. Particular attention is paid to the way hypoglycaemia is managed in different groups of patients, such as the elderly, in children, or during pregnancy. Valuable for diabetologists, endocrinologists, non-specialist physicians and general practitioners, Hypoglycaemia in Clinical Diabetes, 3rd Edition provides expert clinical guidance to this extremely common and potentially serious complication associated with diabetic management.